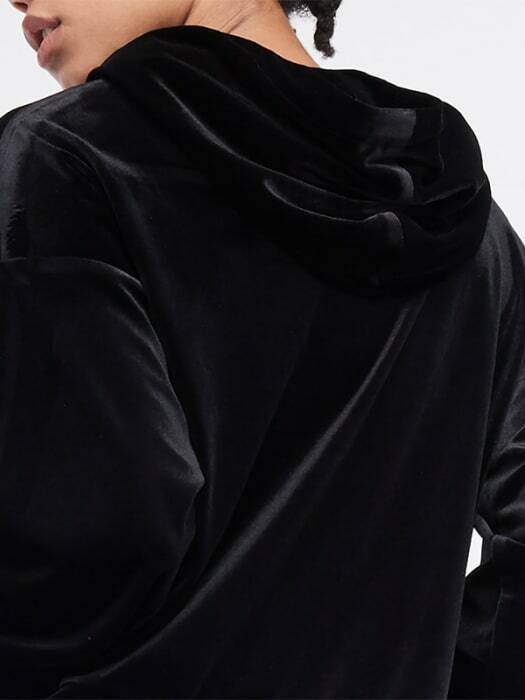 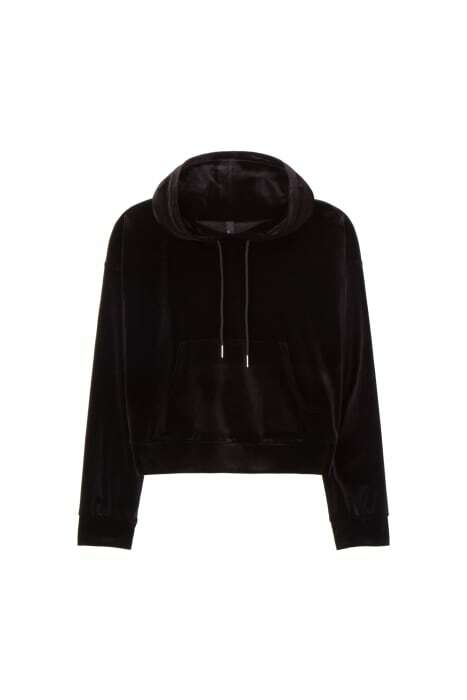 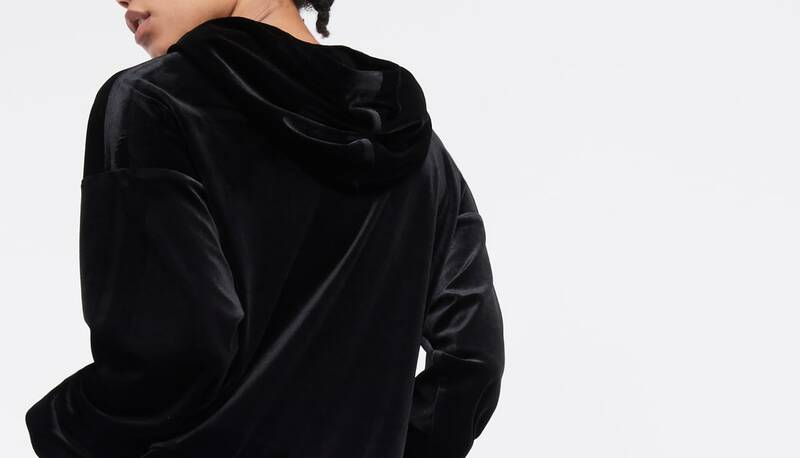 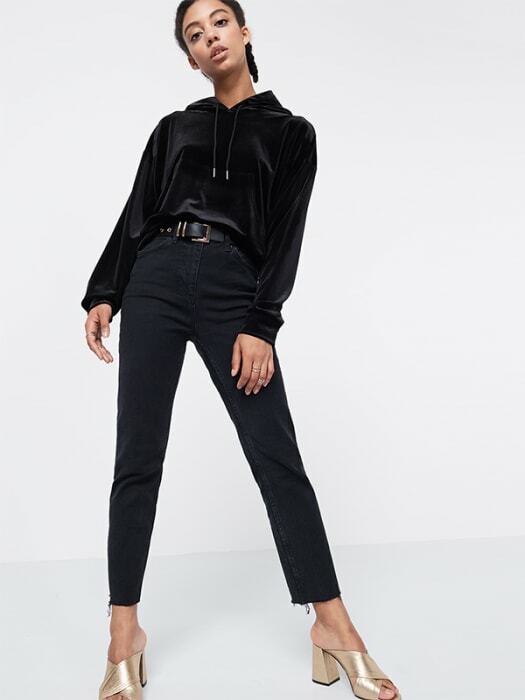 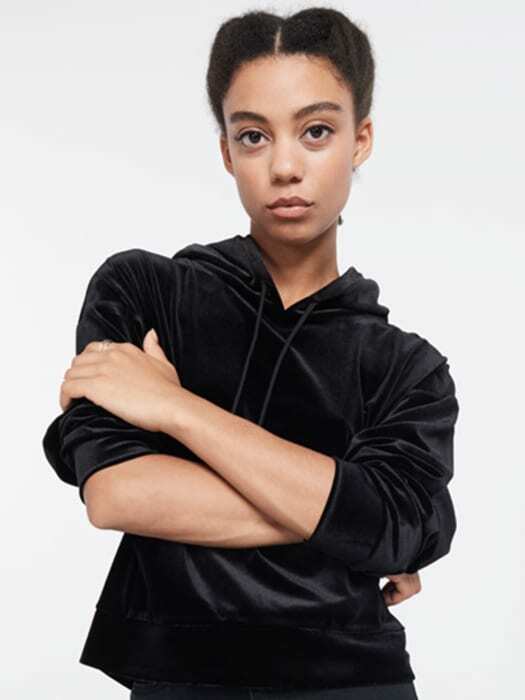 Do urban-luxe in this Black Velvet Hoodie, and get your layering game down pat for autumn. 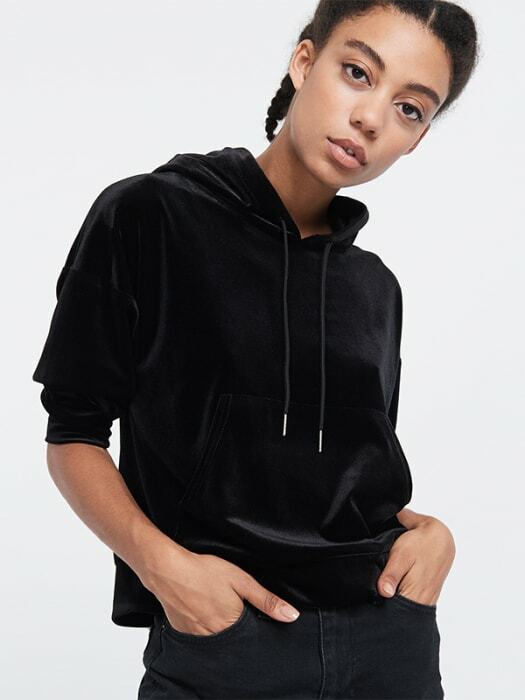 Featuring a cropped, slouchy fit, with front pocket detailing, the plush texture catches the light for guaranteed insta-goals. 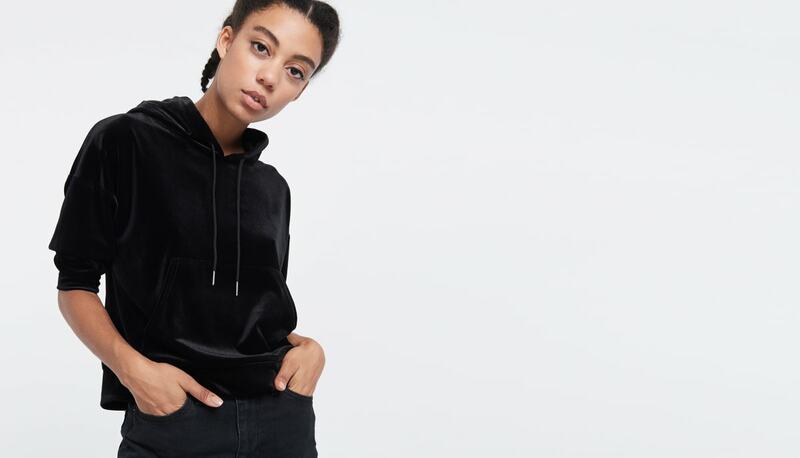 Throw over a tee, under a bomber.